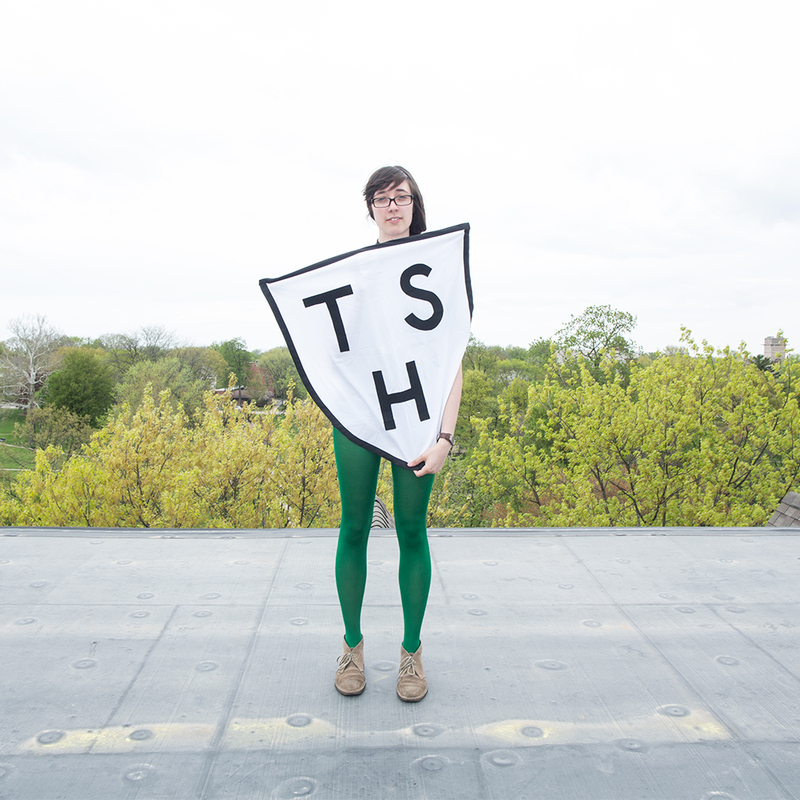 Tenspeed Hero is a blog… er fanzine and online store located in Chicago, Illinois with beautiful flags made by Alexis Aprati. We think there should be a Tenspeed Hero iphone App. We have no idea what it would do. We are afraid that Rapha is going to get a helicopter before we do. 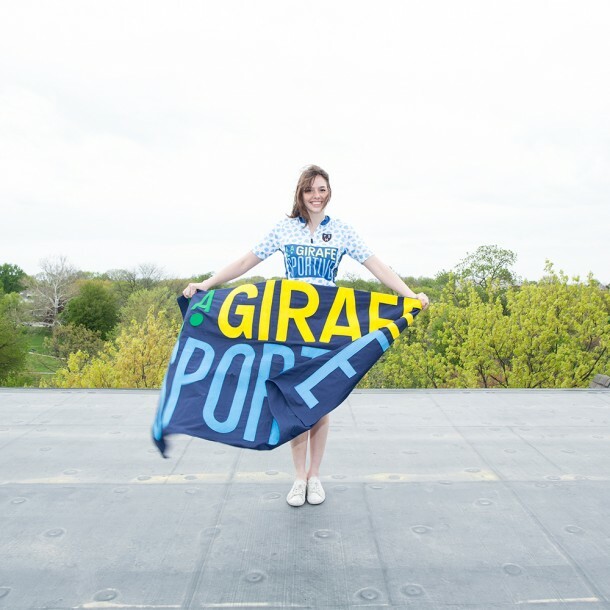 We started a new project called La Girafe Sportive! 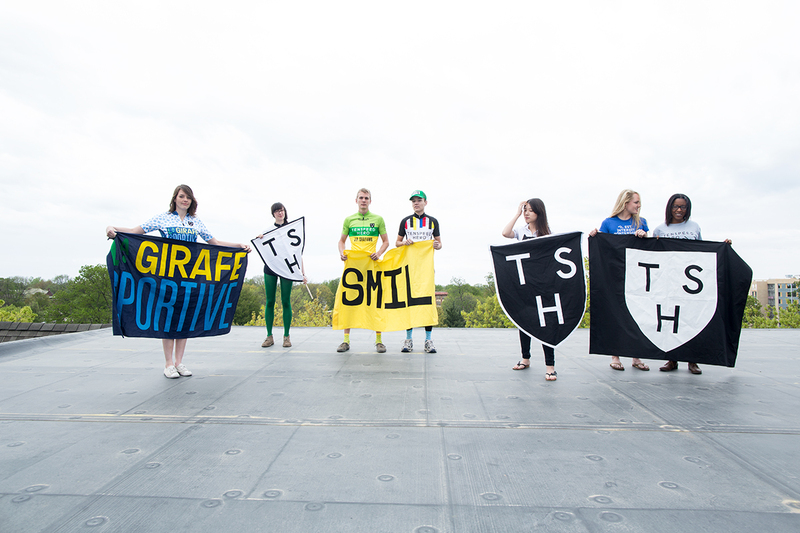 We also created a tumblr called La Girafe Sportive! One day we want to make a polo shirt. We hire a new young designer every summer for our summer intern position. We pay them money. We try to ship our products out the day we get the order. On Instagram you can follow us at @tenspeedheroluke + @tenspeedherocagwin + @lagirafesportive and eventually we will start posting to @tenspeedhero. We do not use twitter as much as we should. On twitter we enjoy watching Jonathan Vaughters engage in twittering with the cycling world and mostly use it to ask Emily Maye out on drinking dates while in Belgium. We also tell Emily every script idea we have about Romantic Comedies. She will steal them and make them better we hope. Oh if you follow @tenspeedherocagwin you will see lots of Alpacas because he lives on a farm. We are planning on riding our bikes in Idaho this summer. It is like a Rapha-Continental kind of thing. We consider Boise to be the second home of Tenspeed Hero. Our favorite place in the world is Stanley, Idaho and Echo Lake California and Gent, Belgium. We sponsor three cycling teams. One is a Belgium youth team that has a really long name. The second is our namesake Tenspeed Hero / J.P. Graziano and the third is Les Petities Victoires which has three of the finest women in Chicago racing. We do what we can to help them all! It is scary when any of them crashes! Cycling can be dangerous sometimes and that freaks us out thinking about it sometimes. 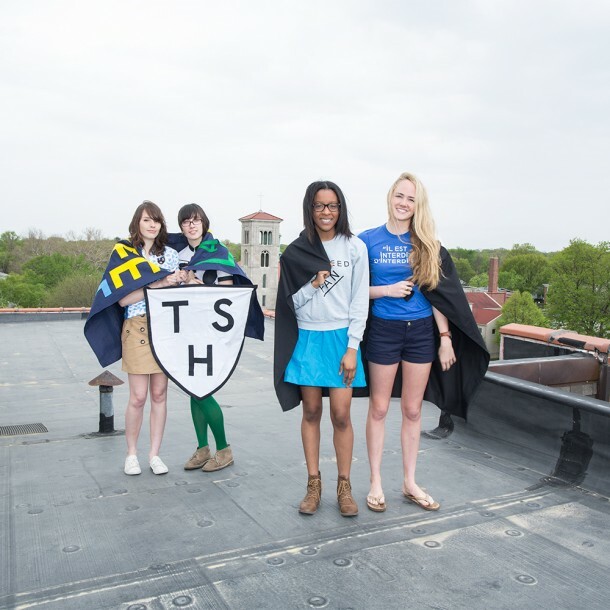 We have a plan to do Tenspeed Hero for at least three more years because we love it so much. We are not sure if it is a long running TV show or Tolstoy in length. We just want to make things and have people read our stories, look at our pictures and if we are really lucky have them send us pictures wearing our socks. We feel honored. This summer we actually want to send our first email to the people who signed up for our mailing list. We are thinking of making a really cool PDF with all of the pictures we make. We have never used our mailing list but we think it is really annoying to get email updates and solicitations all the time. Yes we are talking about you World Cycling Productions! so we want to make sure it is fun! We have about 10-20 people that make Tenspeed Hero really work, though in the studio there are usually just three of us, sometimes four. We have to give thanks to all of our friends who model for us. We just ask them to smile. And sometimes we tell them they are beautiful because they are. Our favorite emails are from teenagers in Europe and Japan telling us to keep doing what we do. That is really cool. You do not know how much that means to us. Onetime we were asked where our store was in Gent! Next spring we are going to interview the Gent Altarpiece! Our friends in Brooklyn say they run into people wearing our t-shirts at concerts and when they approach them they say “I am a Super Fan!” Last week we bought maps of all the countries and continents where we have sold stuffs to. We are going to put pins on it because we love maps and pins. It is like traveling. And one time Luke was in JFK airport and he saw John Watson editing photographs on his computer and he walked up and said hello! Hannah Burtness writes most of our store listings and we think she is the best writer in the world.